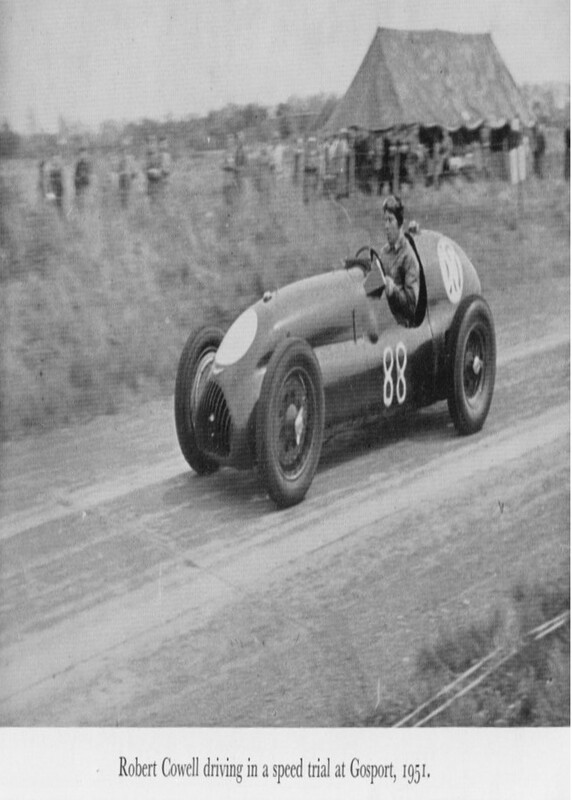 Robert Cowell was born 21 May 1921, in Croydon, with an elder sister and was to have a younger brother and commented, ‘I was very fortunate in having wonderful parents.’ Robert’s ambition was to become ‘a racing motorist’ and Captain with the Royal Air Force. In May 1941, Robert married and had two children. After becoming a prisoner of war he had lost three and a half stone by the time he returned to civilian life. Robert began to transition to Roberta in 1948, fully supported by his parents. Detailed coverage of the story by The Picture Post shows how Roberta became a famous spokesperson for LGBT rights from the 1950s onwards, and she continued to drive racing cars, but less frequently, partly because of her own choice, but also important was the changing nature of motor sport itself which refocused increasingly on Silverstone and GP racing and became less gender inclusive once the BRDC took more and more control.